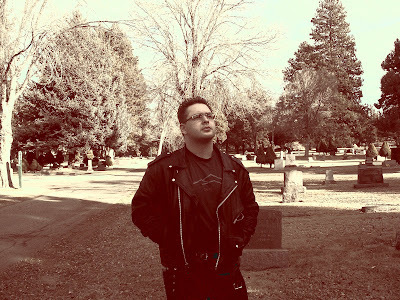 The Graveyard Rabbit: Meet: Joshua Inayat, Author of "Cemetery Seeker"
Greetings to everyone! Let me first say it is an honor to be recognized among such fine people, and I'm proud to call you my peers and friends. There is so much dedication, passion, love and talent among these ranks that I have no doubt this group is something very unique and very special. Like many of you my interest in cemeteries began at an age too early for me to remember, even at my young age of 25. My driving inspiration however, isn't genealogy or history or architecture. These for me are just icing on the cake. They are all areas of study I love. 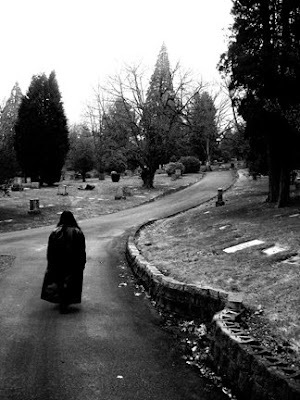 Many who don't understand call me things like morbid, though my interest has little to do with the physical death represented in my favorite places. Again not my driving interest, but each time I visit a cemetery I am forced to reconcile with the fact of my own mortality. I would like to think it helps me be a better person in my daily life. My driving interest, why I do what I do, is something I have had a hard time admitting to myself; much less you, my friends. 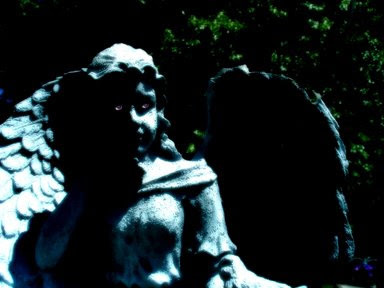 You'll see why.I grew up in Upstate New York and those of you on that end of the country know very well what lush and incredible history there is to be found in the cemeteries. Plentiful, occasionally vast, and chalk full of Victorian style monuments celebrating tragedy, mourning, love, mortality and the great passage into death. How I love those cemeteries! They're so honest, and in their own way vibrant. I live now in the dead center of Oregon. Pardon the pun, there really aren't all that many dead out here. 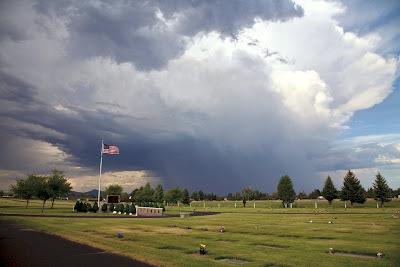 If you have never been west, all you have to do is visit my blog (cemeteryseeker.com) which is complementary to my photography gallery (eternaltouchstudios.net) There you will see the some of the best cemeteries the west has to offer. 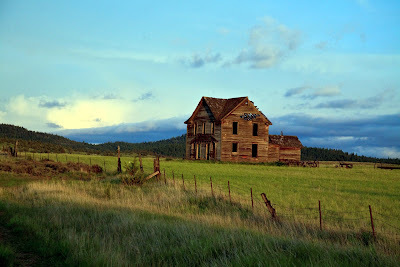 In some rare cases, it's everything you would imagine it to be with the abandoned homesteads and cowboy hats to boot. 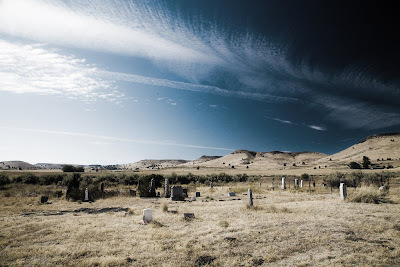 These cemeteries here in the west are a different sort from the east in every manner. They're small, often hard to find (if not impossible) and dangerous in so many ways. 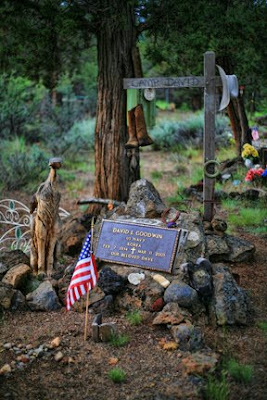 Most pioneer cemeteries were marked out with wooden crosses and often have a dozen stone markers or less. 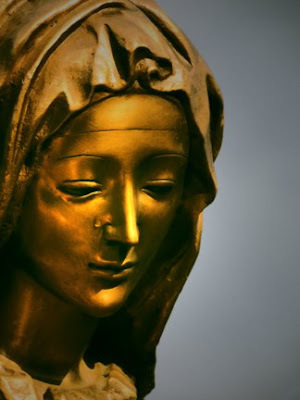 There are no life size angels or family mausoleums of impeccable beauty. 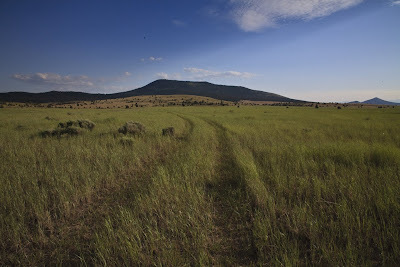 These cemeteries, some still in use, are often home to ground hogs digging leg breaking holes concealed by sage brush. Less frequently an adventurous spirit may run across a rattlesnake, a nest of black widow spiders or belligerent rancher with a rifle. Worse than that, a belligerent rancher's hot-tempered prize bull has charged me. I got away, but barely. That's the reason for my blog. So that I can share my adventures with my fellow citizens so that they need not make the journey and should they feel the need, they could do so safely with my guidance. Now you're asking, Why? If the cemeteries here in the west haven't the artwork nor depth in history (albeit recent and interesting anyway) that I love in eastern cemeteries. Why bother going at all? What else is there? Surely it's not fun, driving 150 miles in dry heat and dust down roads, which haven't been roads since the Model T, looking at old maps for abandoned mining towns? Actually, it's the time of my life. But not even the adventure is what I'm after. And trust me, it's an adventure when there's nothing in sight in 360 degrees but the dirt path you're on and rolling desert and fallow fields. The part that I had to admit to myself. The part that took years of denying, fronting and repressing. This is the part you won't believe, and the part that ensures I walk alone but for my lovely soon-to-be-wife. I go for the company. I refuse to use any other words or phrase other than in tune, or perhaps observant. The big eastern necropolis of the east with angels and death monuments and spirits galore are fantastic because there, no matter the amount of living foot traffic, I can get in tune. 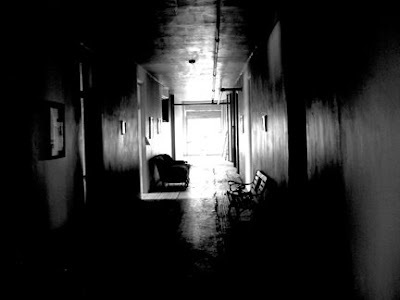 The fewer visitors the better as the living seem to for lack of a better word, saturate the area. When there are too many people (living, that is) around they drown out the subtle feelings I get from beyond. Since many cemeteries here in the west that are active are for all intents and purposes almost brand new, many are "Memorial Gardens... With an old section." Even in a place with very little foot traffic, I can in almost no circumstances "tune in" when staring at a manicured lawn with fake flowers. No matter how awesome the view. So I track down the silent ones so that they need not be silent any longer. Overgrown with nature, abandoned entirely in some cases, virtually nobody visits. In some cases it's like discovering it all anew. Here, with nothing but the sound of the wind sweeping the long open earth, I can hear just a little bit beyond what I'm supposed to. It is in these places where few living ever go, that I can be among those who have come and gone. My connection to this side of our world is at best thin, due to my ability to observe. I don't get along well with most of what our Modern American society has to offer, and I often feel I'm from another time and place altogether. I try not to judge it, or myself, in any sense. I try not to apply any meaning, spiritual, religious or otherwise. I merely observe and accept. I photograph the cemeteries I visit and process the pictures to bring out an artistic rendering. I photograph to capture what I feel with my heart, rather than what I see with my eyes. Though sometimes I just get lucky, and capture something truly authentic and moving that needs no editing at all. Now I realize that some or all of you are protesting in all different manners. The one I hear the most, aside from It's all in your imagination, is: Why would dead people hang out in a cemetery anyway? First, I cannot convince you one way or another what is real about my experiences. You are free to accept or reject and feel as you wish. You are welcome to stop reading. Either you have experienced or you haven't, either you want to or you don't. Any which way, it's okay! Keep in mind, it has taken me the better part of a decade to get to the point where I feel comfortable sharing. 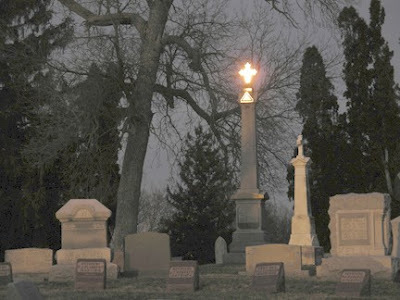 Likewise, for you skeptics out there, I have taken over 20,000 digital photographs of cemeteries and supposed "haunted places," without a single wisp of a hint of a ghost in a single picture. Nadda, zero, zilch. Go figure. Even the places you just know are haunted, like old insane asylums of yesteryear. Secondly, "Dead People" aren't dead. They're not like their bodies anyway, and those are dead. "Dead People" are just People. You might say they happen to be neuro-synaptically challenged. And no, they don't hang out in cemeteries Usually.But we do. I do. When you don't have a body of flesh you have a body of thought, in my experience. Our consciousness seems to be our true body. So what are you doing, if those who have passed on are thought; when you see their name and dates and you think about them? Cemeteries are, as far as I can gather, a phone book to the other side. Just like if you start calling random numbers in the real phone book, some people pick up and others aren't home. Some are happy, some are grouchy. Some just assume you're trying to sell them something and hang up, some are hoping you're publishers clearing house. Ectetera, ectetera, extra. Personally, my reception is bad. I almost never get any form of direct auditory communication. I just get feelings. Usually people just want to share their lives or hear the news. There is as much variety as anywhere people gather. My spirit is always lifted when I can lend a shoulder to cry on, or help in any other way. Sometimes I can make somebody's day just by clearing pine needles off a marker so it can be read better. And that my friends, is my story. That is why I visit cemeteries. I simply like to do my best to depart from this world, as completely as possible for a spell. I photograph these journeys in a desperate attempt to share with the world this little secret I know. And I blog about it so that nobody else has to get charged by a bull. Your comments are perfect. I think most of us feel that way, but you can really express it. My kind of man!!!!! I really understand your reasons and experiences that you enjoy cemetery's.Great photos and writing,we are very lucky your a Rabbit! Very well written. I agree with all of it. Thanks guys! I had no idea how it would be received. Thank you very much, and it's good to know we're not alone as we may think sometimes. I enjoyed your article! Great writing and thank you for sharing your feelings and emotions. I think we all enjoy our cemetery visits for many different reasons. Still there are so many people out there that can't understand why we do it. Enjoyed your article! So much of what you've written is how I feel about cemeteries and the reason why I visit them whenever I have the chance! There are several cemeteries I enjoy some may lead happiness and some make sad. I understood ur feelings and emotions. While sharing it will reduce.